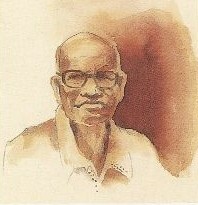 Cartoonist, painter, sculptor and poet D G Kulkarni (Dattatraya Gundo Kulkarni – popularly known as ‘DIZI’ 1921-1992) was born in Shedbal village of present day Belgaum district in 1921. Trained at the J J School of Arts in Mumbai, across his career, he was influenced by the works of reputed painters like Picasso, Matisse and Dufy. DIZI’s works are today considered by some to be amongst the prominent modernist works of the last century. He also took part in the quit India movement. 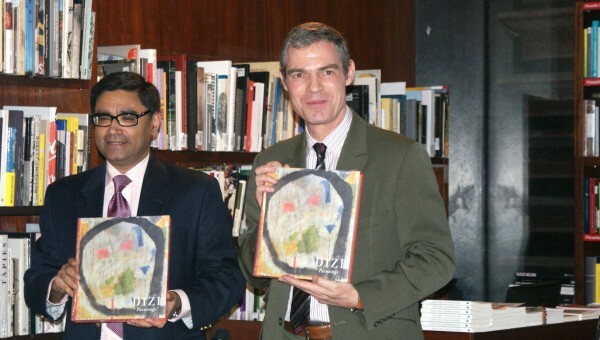 A catalogue on the late painter’s work was released at the La Central bookstore of the Reina Sofia Museum in Madrid in October 23, 2014 jointly by the Indian Ambassador to Spain, Mr Vikram Misri and the French Ambassador to Spain, Mr J Bonnafont. Incidentally, another Kulkarni, Maitrey Kulkarni (IFS) from Belgaum had the privilege to be present at the launch – in the role of the Secretary (Culture, Academics and Media) of the Indian Embassy.